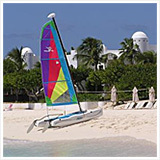 A Wonderful Anguilla Family Vacation! The idea was originally born a year prior. I wanted to treat my parents to a vacation, in thanks for all of the vacations they took us on when we were kids. Europe was originally proposed, but some health complications with my father prevented that from happening. A year later and that vacation still hadn't happened. I had a few weeks coming up at work when things were going to be slow, so I immediately began to look for destination ideas. Jamaica was our first pick, but when I heard the prices for four people at the all-inclusive resorts, I knew there had to be a better option. 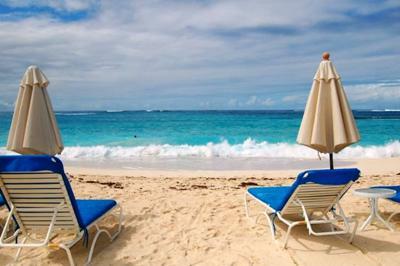 All of a suddenly, it hit me... Anguilla! 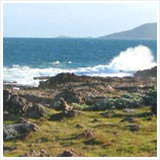 How many times have I looked at Nori's site and wished I could go there? Here's the chance to go and bring my family along as well! 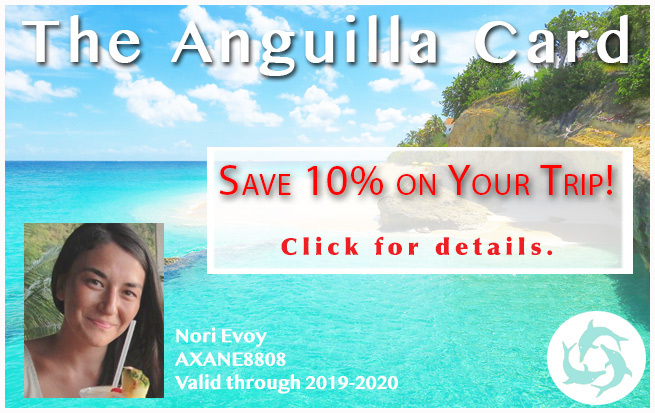 With less than a week's notice, I quickly logged onto www.anguilla-beaches.com and looked for that Anguilla real estate agent I had read so much about, Jackie Pascher. 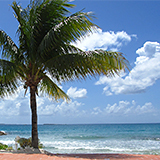 Writing her a quick Email, I outlined the plan - Vacation in Anguilla in one week's time, looking for a villa to rent, Help needed! Jackie came through in fine style. 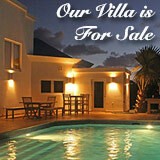 She listed the Anguilla villas that she had available at such short notice and helped me make a selection. I decided on Bliss Villa and she took it from there. Her office helped us arrange lodging on St. Marteen, the private ferry ride over, the rental car while we were on island and even had the fridge stocked with some welcome groceries when we arrived! 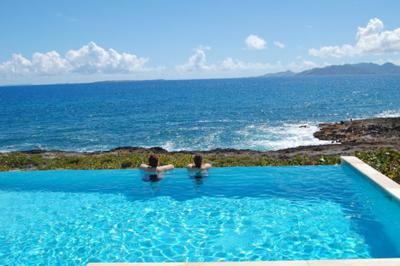 The villa was breathtaking and my family instantly fell in love with the island. We spent almost a week just lounging around the infinity pool soaking up sun and hitting all the small restaurants on the white sandy beaches. Having our own place to cook meals was definitely a good move and many nights we cooked our own dinners at the villa. This was a vacation that will be remembered for a long, long time. 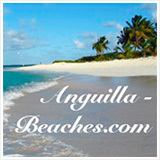 A special thanks to www.anguilla-beaches.com and Jackie Pascher for helping make it all possible! 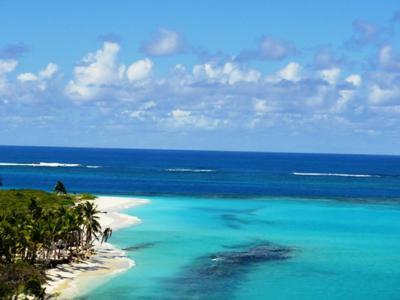 I am so glad to hear that you and your parents settled on Anguilla, and loved every second of it. Jackie Pascher is one of the most hard working people I know. 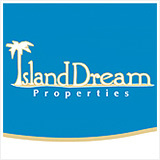 She is our favorite Anguilla real estate agent, and a good friend. She made us feel so safe, and so at home when we first started traveling to Anguilla. Back then, Anguilla was so foreign to us. 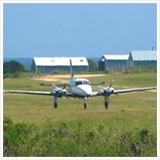 We didn't know how to navigate the island, and didn't have the comfort and familiarty of Anguilla hotels. 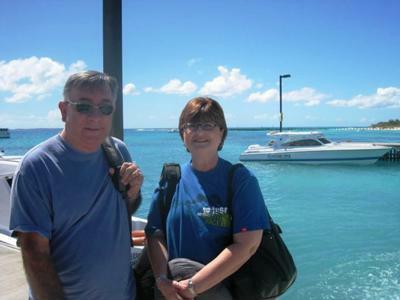 Renting an Anguilla villa and rental car was a bit daunting at first. Jackie got us totally acclimated! And wow... Bliss Villa! It looks just that... Bliss! 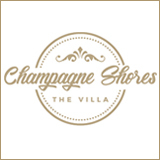 I would love to hear about your stay at Bliss Villa. 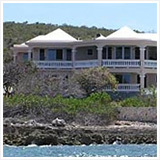 Please click here to share your Anguilla villa experience. 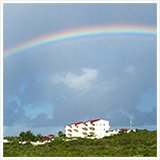 It sounds like you had a magical Anguilla vacation... We wish you would have dropped in to say "Hi!" On your next visit, please do!